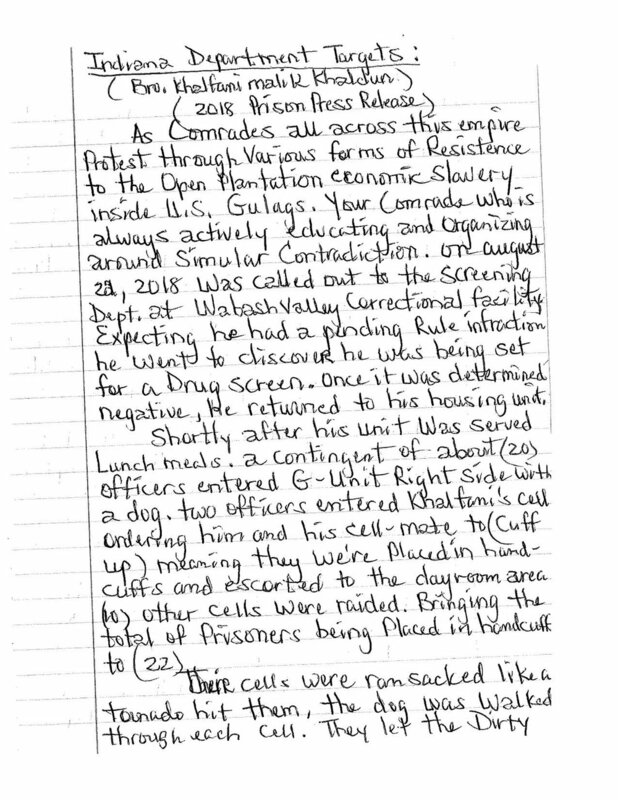 Below please find a report from Brother Khalfani Malik Khadun on the recent conversion of G-Unit at Wabash Valley Correctional Facility from a general population unit to a restricted movement unit, in violation of inmates’ rights and DOC policy. One inmate has already committed suicide since being placed in this new restricted movement unit, where inmates are confined to their cells for 23 hours a day. You can also listen to this interview IDOC Watch outside organizers did with Bro. K.M. Khaldun about the situation in G-House, below. 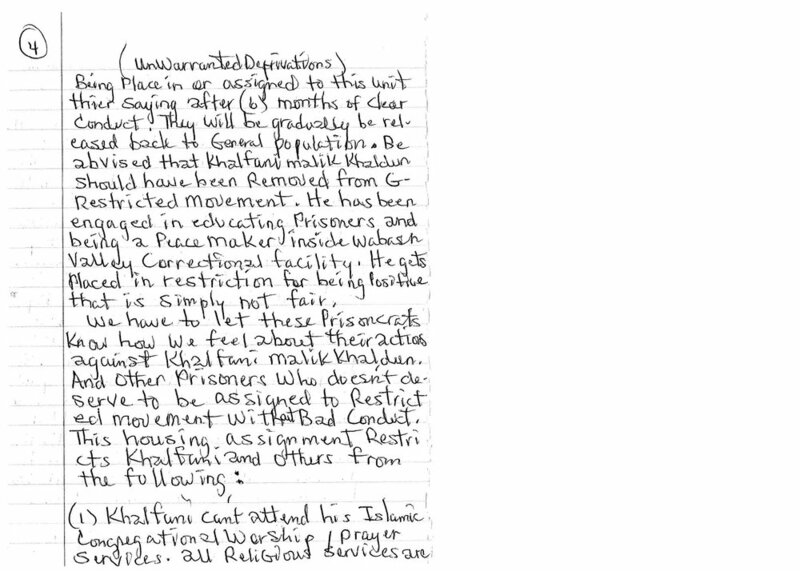 This situation is particularly challenging and traumatizing for Khalfani because he was held in solitary for over two decades already, and restricted movement is not much different from solitary confinement. 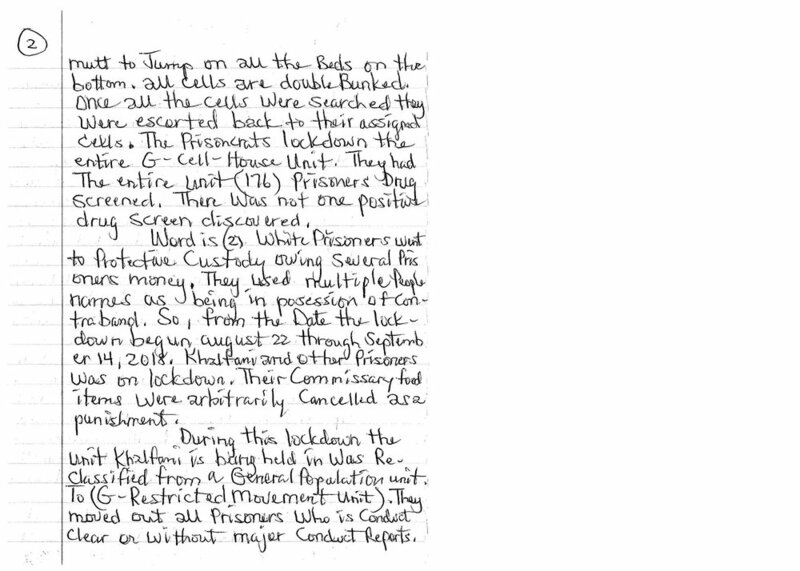 You can read more about Khalfani and his history of political struggle in Indiana prisons here. Donate to Help Support Political Education for Indiana Prisoners!